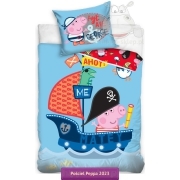 Cotton kids towel with Peppa Pig character from animated series for the little ones about the adventures of the Peppa Pig family. 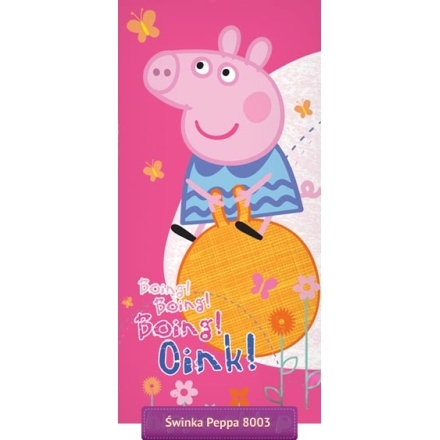 Beach towel for preschoolers in pink colors with a large figure of Peppa on a pink background with floral motifs. 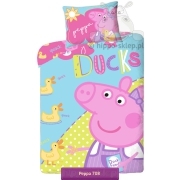 A bath towel with Peppa Pig will work at home – after bathing, on the beach and at the swimming pool. 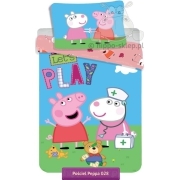 Original, licensed towel with Peppa Pig made under the license of E1 Kids with a one-sided print, the top of the towel has a velor finish, the underside – terry weave. 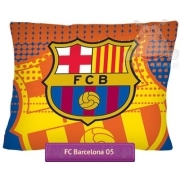 A towel with Peppa Pig made of 100% cotton, 70x140 cm size. 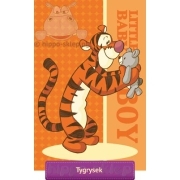 Kids Towel producer: Carbotex, model PP 8003 R, ean code. 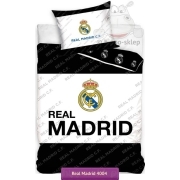 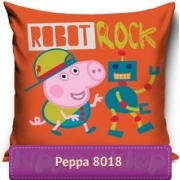 A great idea for a practical gift for every occasion for a small fan of the series with Peppa.